Six horses were killed during the 2018 Cheltenham Festival, according to uk.reuters.com. Four of those were on the festival's closing day on Friday, including Sandsend, Some Plan, Dresden, and North Hill. Mossback and Report to Base died after falls on Tuesday. “I must first express my sympathy towards to all those who will have loved and cared for the horses who suffered fatal injuries this week. Everyone who follows this sport does so because we love these fine animals and it is extremely sad when we lose any horse. 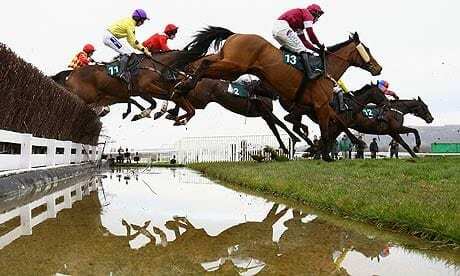 “The BHA will be reviewing the circumstances leading to the fatalities at the Cheltenham Festival. We will examine the evidence from the past week over the next few days before deciding how we will pursue the review. This entry was posted in NL List, The Biz and tagged BHA, British Horseracing Authority, Cheltenham Festival, equine fatalities, fatal breakdown, jamie stier, jump racing, whip use by British Horseracing Authority. Bookmark the permalink.